NEW GAME! Simon's Cat - Pop Time. NEW GAME! Simon's Cat - Pop Time. Mr. Potts has finally cracked and is on the hunt for Simon’s Cat and his group of garden invaders! 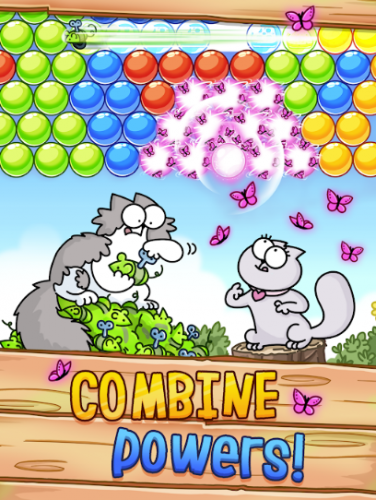 The adorable Critters are caught in a bubbly trap and only YOU can help free them! Join Simon’s Cat, Maisy, Chloe, Kitten, Jazz and countless cute animals in a fun packed journey through some CAT-tastic new places where tasty treats are waiting to be eaten! Available on App Store, Google Play and Amazon! Oh no! Mr. Potts is here. Mr. Potts, the grumpy neighbour, isn’t happy with Simon’s Cat shenanigans. Armed with a bubble machine he has ‘trapped’ Simon’s Cat’s woodland friends. 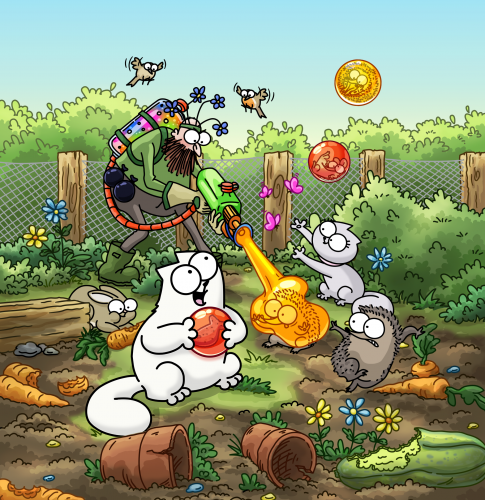 Now Simon’s Cat and his kitty friends have to travel through the various gardens in order to save their friends! Will you help them? 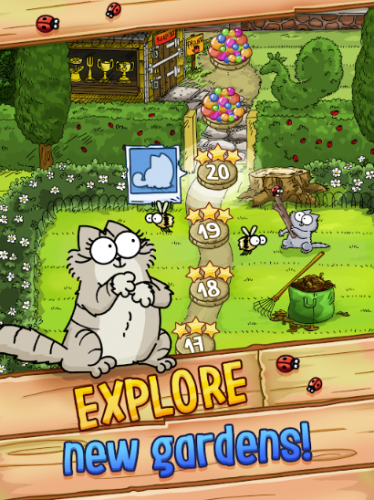 Enjoy a cast of cute characters, animations and new backgrounds created by Simon and the team exclusively for the game! You can play with friends, take part in tournaments and daily quests, collect points and coins in order to defeat Mr. Potts and free the hedgehogs, frogs and robins. It’s a simple and addictive puzzle gameplay! POP your way through delicious treat laden levels to rescue the cute critters! 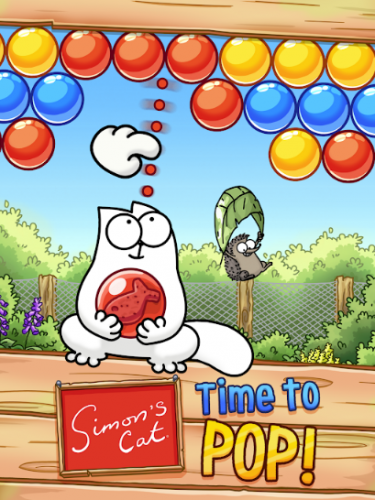 For game tips, news and Simon’s Cat giveaways please follow our official Facebook game page : Simon’s Cat – Pop Time . 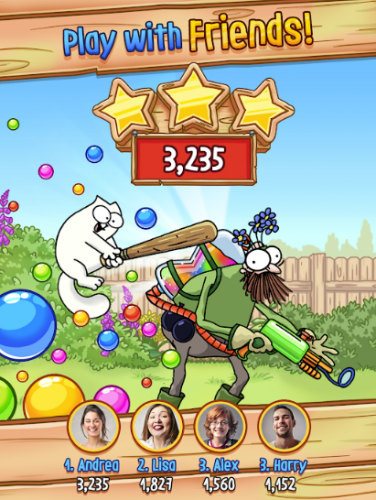 We are always working hard to update the game with new levels that we are positively sure will leave you feline great! Stay tuned for updates and take a moment to leave us a friendly review.